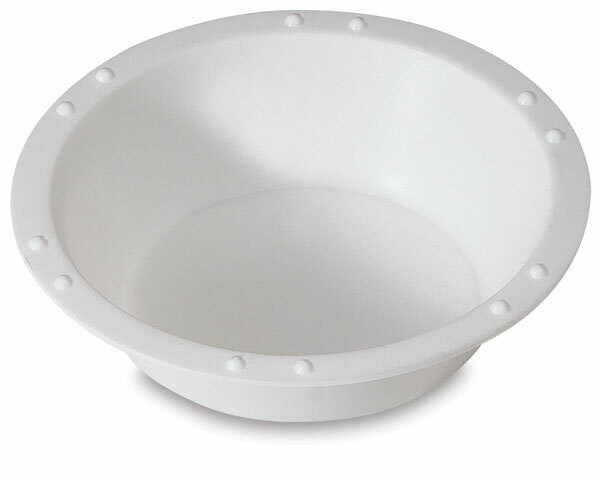 This easy-to-clean, pie-pan shaped cup has brush rests. It's great for mixing tempera. It measures 3-1/2" in diameter and 1 1/8" in depth.